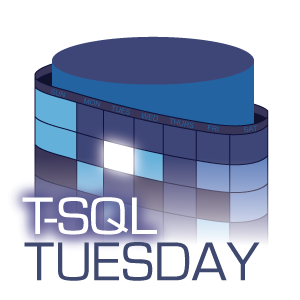 T-SQL Tuesday was started some time ago by Adam Machanic whereby lots of people blog their thoughts on a common topic. Month #102 is hosted by Riley Major with the topic of “Giving Back”, Riley is encouraging people to ask themselves not what they can get, but what they can give back to the SQL Community. I’ve been a regular consumer of content created by the SQL Community over the years. It’s led me to new places, led me out of some pretty dark places and encouraged me to learn more about the world of SQL Server. I have always marvelled at the amount of great stuff that’s out there and the fact that so much of it is free. I wanted to give something back, but there’s so much brilliant technical content on offer, I felt that I’d struggle to fit in. Then one day, I realised… Everyone has a voice, and my experiences working with SQL Server can’t be the same as everyone else. I like to share things that I’ve discovered, sometimes whether people want to learn or not! I have done a little public speaking in the past, both at a local SQL Server User Group Level and at SQLRelay. I’ve written on other subjects, and I’ve performed in public to a totally different type of audience. This put me in a good starting position. Back in November, I decided to kick-start my Community offerings by creating this blog, and putting together some content to submit for a Lightning Talk at SQLBits. Everything is based around sharing my experiences and demonstrating my approach to helping people and troubleshooting problems. The response to both so far has confirmed my thoughts that there is space for me about and encouraged me to continue. In fact, the best compliment came just last week with someone that I helped out. They read my blog post afterwards and found it useful – they said that they plan on using the methods that I described next time they face the same situation. I have already submitted an abstract for a SQL Conference. I learned a lot over the past few months – writing, WordPress, hosting, video editing, audio editing. I may not be expert at any of these but I will gladly help anyone who’s travelling the same journey. Please get in touch if I can assist.